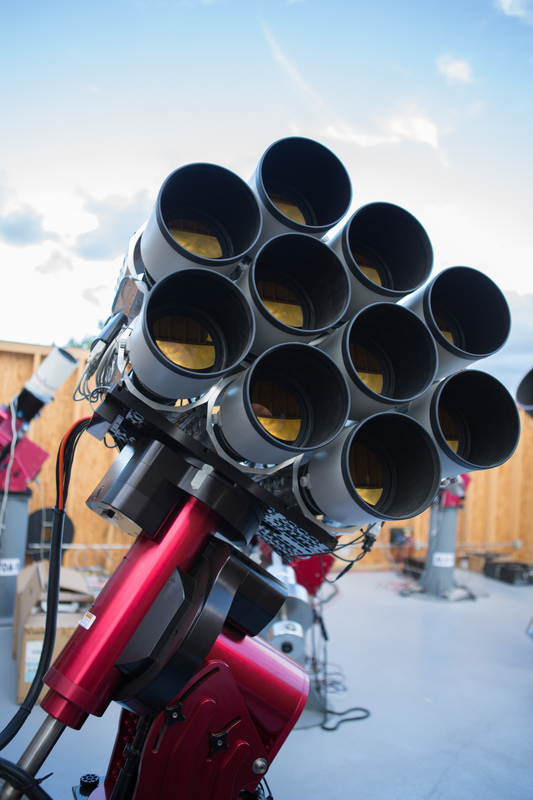 Dragonfly is a robotic, refracting multi-lens array optimized for the detection of low surface brightness emission. Currently, Dragonfly is comprised of ten Canon 400mm telephoto lenses which, when operating together, are equivalent to an f/0.9 system. The fast optics combined with a large field of view and nano-fabricated coatings with sub-wavelength structure on the optical elements which are designed to supress scattered light allow Dragonfly to efficiently probe the ultra-low surface brightness universe. Dragonfly was commissioned in 2013 and is housed at the New Mexico Skies observatory. Further details can be found in Abraham & van Dokkum (2014).